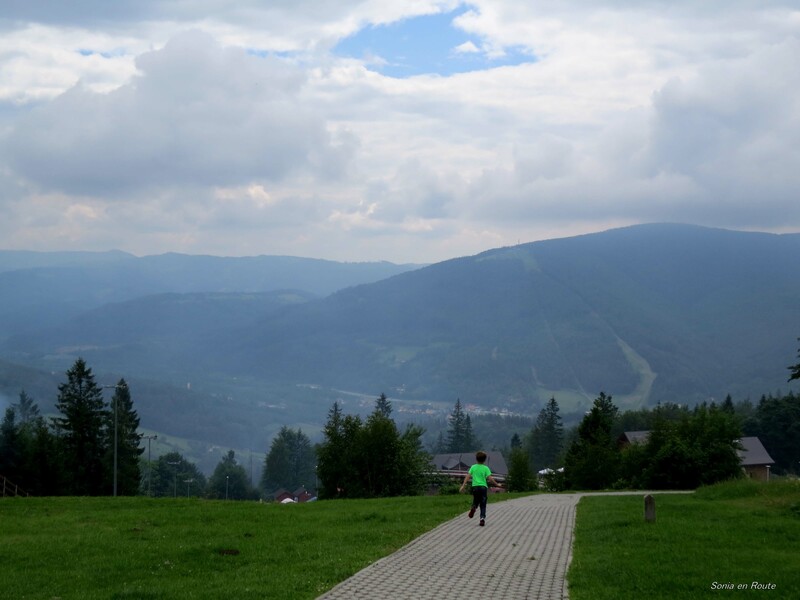 Today I want to show you a view of Beskidy Mountains in Poland. They are not high mountains, we have much higher, but very popular with the hikers. In the summer there is many, many people on the trails. The town down below is Ustron where I took you a couple of days ago to show you the library mural.